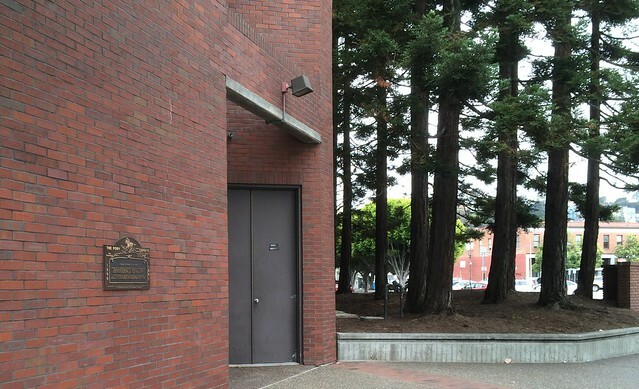 I stopped briefly at this waymark while out for a morning run along The Embarcadero. This way mark is located at 475 The Embarcadero, San Franscisco, California. The GPS coordinates for this location are N 38° 35.190 W 121° 18.510. A list of Pony Express Waymarks that I have visited can be found here. You can log your visit to this landmark at waymark.com. Nearby was the location of the Broadway Wharf. The wharf extended from Broadway and Davis Streets east to this location. 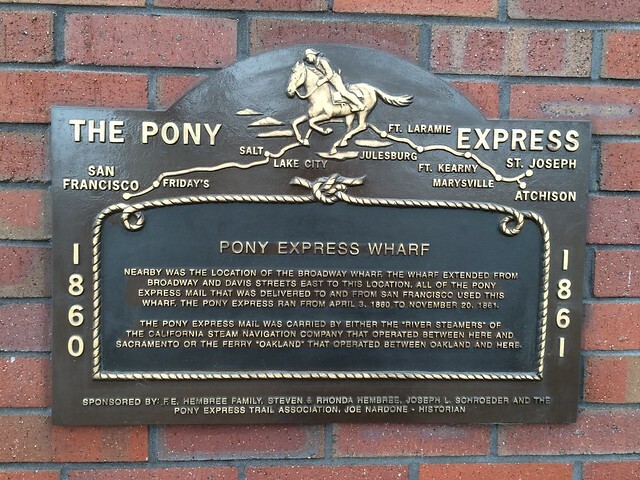 All of the Pony Express mail that was delivered to and from San Francisco used this Wharf. The Pony Express ran from April 3, 1860 to November 20, 1961. The Pony Express Mail was carried by either the "River Streamers" of the California Steam Navigation Company that operated between here and Sacramento or the Ferry "Oakland" that operated between Oakland and here.